NaturesLens invites amateur & semi-professional wildlife photographers to join Robin, our photography guide, on a 5-day adventure to Fair Isle, Shetland, exploring the remote wilderness of this far-north Scottish island; photographing its fascinating bird residents. The island offers stunning backdrops of craggy cliffs, crashing waves & windswept grasses, providing the perfect setting for truly mesmerising images to be captured. Spaces are restricted due to the nature of the trip & for the optimum enjoyment of each guest, so booking early is essential. 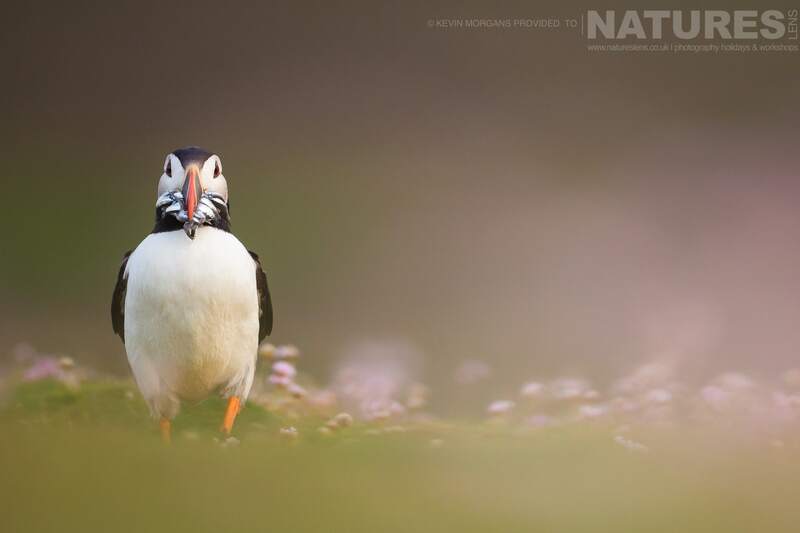 Join NaturesLens to capture images of comical Atlantic puffin, in United Kingdom, during the Atlantic Puffins of Shetland’s Fair-Isle photography holiday. This photography holiday is of 5 night/6 day duration on a Full Board, Non-Shared basis & costs £1099 per participant. 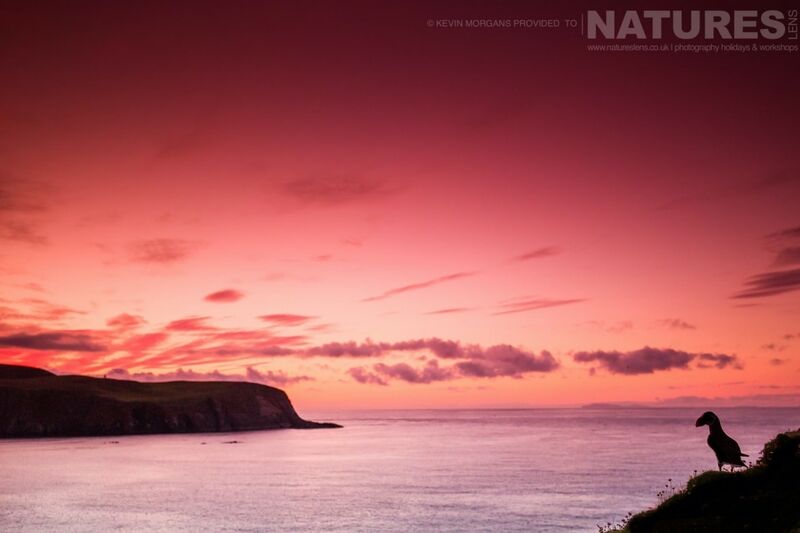 Join NaturesLens on a journey to the remote region of Shetland in northern Scotland, to spend 5 days on Fair Isle to capture magnificent images of native wildlife & impressive landscapes. The focus species of this trip is the atlantic puffin, & you will have abundant opportunities to observe & photograph these adorable birds as they thrive in their unspoilt island habitat. Once home to Viking Warlords, the island of Fair Isle is now dominated by its wildlife population rather than its mere 70 inhabitants. 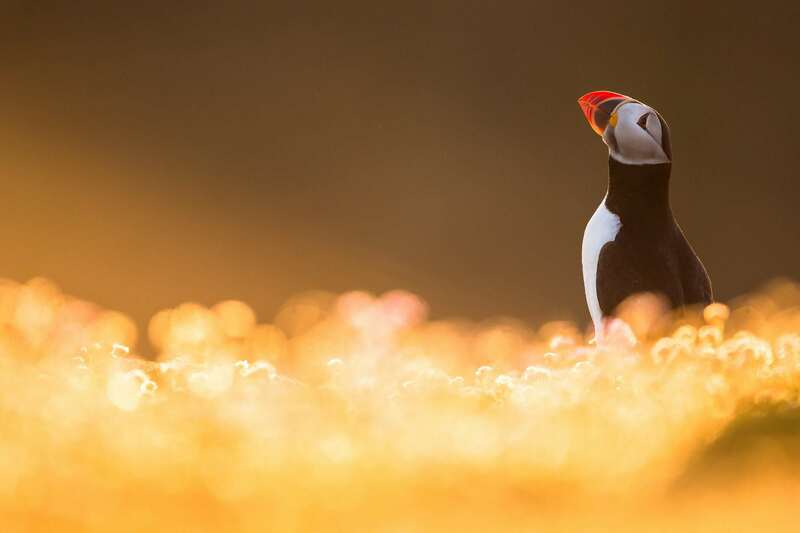 This trip offers unrivalled access to an outstanding population of seabirds which live on the tiny island, & the isle’s status as an internationally renowned bird observatory gives an indication of the potential quality of wildlife opportunities. This trip is unique in that it is designed & led by photographers, for photographers, allowing us to work with you, ensuring that you obtain incredible images to treasure for years to come. Fair Isle offers hugely varied conditions for photography, as the nature of fast-changing island weather means that in summer you could find yourself bathing in sunshine one moment, & shrouded in fog the next. Over the 5 days your images will benefit from varied lighting & weather conditions, with photography sessions covering dawn through to dusk. We have designed a flexible itinerary to allow photography of other native wildlife as well as landscape shots, giving photographers the chance to explore the island & make the trip their own. Your NaturesLens guides will provide advice on composition, technique & species behaviour to enable you to achieve the best possible images, making the most of this rich & dramatic environment & the bustling activity of its residents. Fair Isle offers a unique opportunity to experience an environment truly ruled by its winged inhabitants, & group sizes must be kept small so book early to avoid missing out! 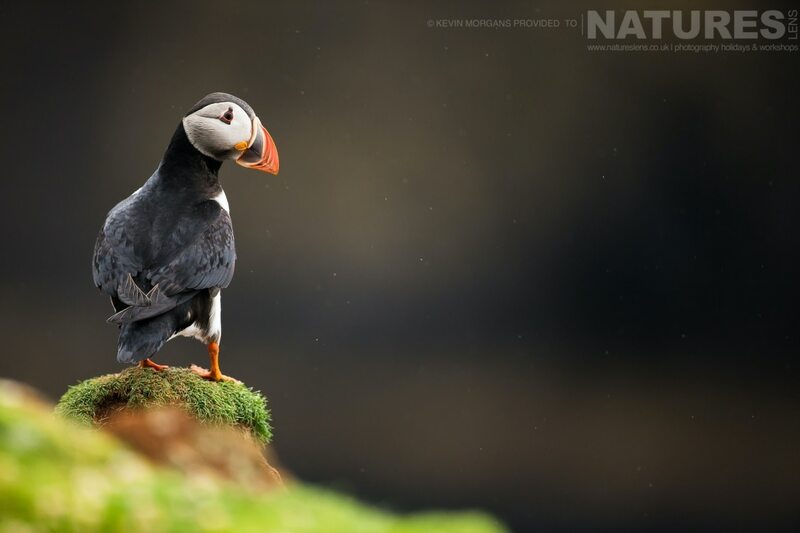 Join NaturesLens to capture images of comical Atlantic puffin, in United Kingdom, during the Shetland’s Puffins of Fair-Isle photography holiday. This photography holiday is of 4 night/5 day duration on a Full Board, Non-Shared basis & costs £899 per participant. NaturesLens invites amateur & semi-professional wildlife photographers to join Robin on a five-day adventure to Fair Isle, Shetland, exploring the remote wilderness of this far-north Scottish island; photographing its fascinating bird residents. 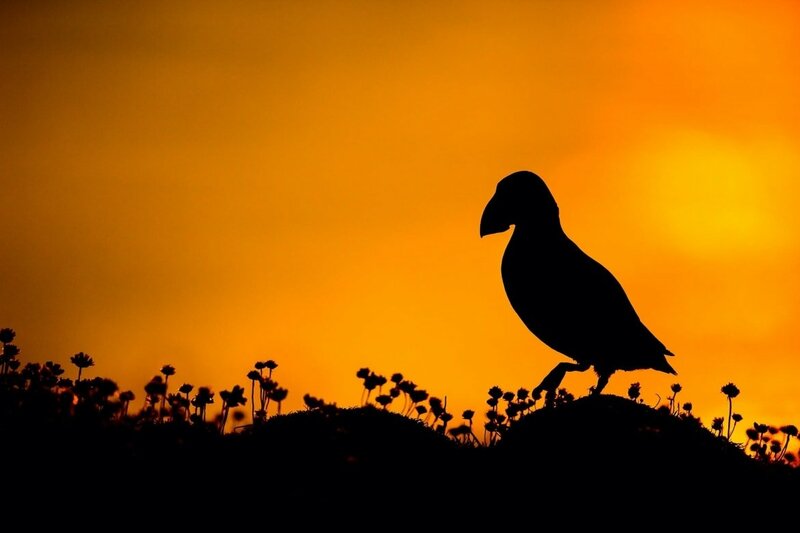 Join NaturesLens to capture images of comical Atlantic puffin, in United Kingdom, during the Puffins of Shetland’s Fair-Isle past event. This past event is of 5 night/6 day duration on a Full Board, Non-Shared basis & costs £999 per participant. Join Robin on a journey to the remote region of Shetland in northern Scotland, to spend 5 days on Fair Isle to capture magnificent images of native wildlife & impressive landscapes. The focus species of this trip is the atlantic puffin, & you will have abundant opportunities to observe & photograph these adorable birds as they thrive in their unspoilt island habitat. Robin, our NaturesLens guide will provide advice on composition, technique & species behaviour to enable you to achieve the best possible images, making the most of this rich & dramatic environment & the bustling activity of its residents. Fair Isle offers a unique opportunity to experience an environment truly ruled by its winged inhabitants, & group sizes must be kept small so book early to avoid missing out! Whatever your query regarding our photography holiday, Atlantic Puffins of Shetland’s Fair-Isle, please fill out your details below & we will get back to you.